Panasonic India has launched Arbo Hub – an AI powered Hub which provides the users of Panasonic smartphones an access to multiple apps and services on a single platform. 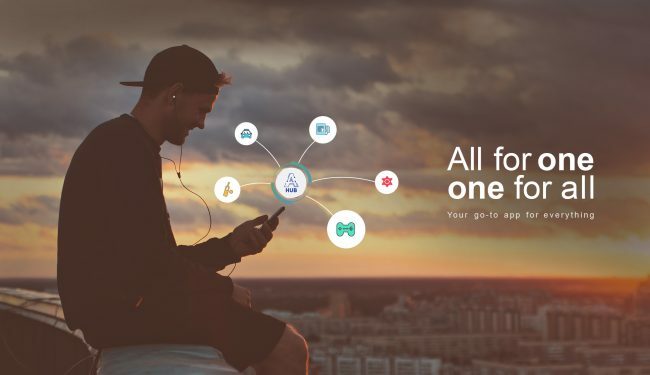 Arbo Hub, the ‘Go-to’ app for everything, adapts to the users specific needs, interests and provides all services on one single platform, decluttering multiple apps on the smartphones as stated by the company in its press statement. For Arbo Hub, Panasonic has partnered with various apps like Accuweather which provides the user with real-time weather updates for on spot location, NewsPoint for latest news based on the taste and preferences, updates on cricket matches including live scores, history of previous matches and daily, weekly and monthly horoscope. For those users who rely heavily on app-based cab hailing services, Arbo Hub app’s intuitive interface lets them compare fares between the two most recognized app service, Ola and Uber. It not only shows the varying fares but also allows you to select between different categories (share or personal) within the app. Arbo Hub also turns into an entertainment centre by allowing the user to play HTML5-based games powered by Gamezop and covers e-payments via MobiKwik, allowing the user to pay utility bills. Arbo Hub will be introduced to the users of Eluga ray 700, launched in September 2017, through an over the air update (FOTA) and in upcoming smartphone models Panasonic P85 NXT and Eluga Ray 710.